The driver of a garbage truck involved in the death of a man in Victoria has received counselling for the traumatic experience, according to the company he works for. 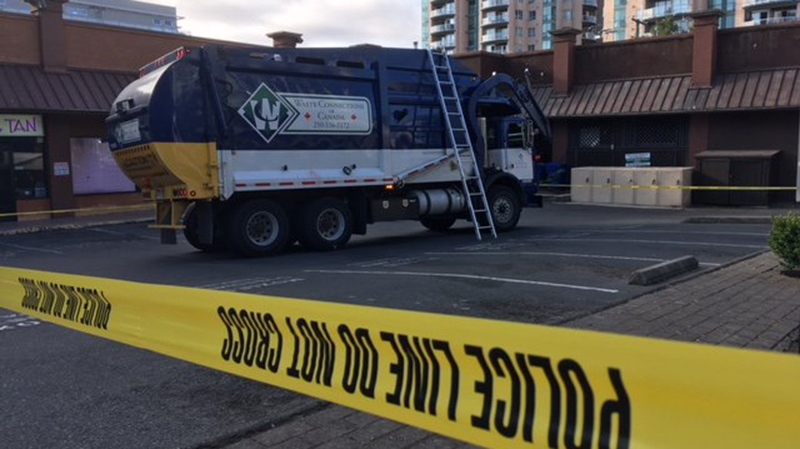 The man was crushed by the compactor of the garbage truck early Wednesday morning after it scooped up a dumpster near Vancouver and Johnson streets, near the city's downtown core. He ultimately succumbed to his injuries despite the best attempts of first responders and bystanders to aid him. The incident "turned the company upside down" and was traumatic for all involved, said Michael Trip, district manager of Waste Connections. The driver has been in counselling and was said to be doing better Thursday, the company said. He's expected to remain off work for several weeks. The company says it is looking forward to his return. The distraught driver of the garbage truck first knew something was wrong when he heard a strange sound after activating the truck's compactor, police said Wednesday. It's unclear whether the man who was killed was looking through the dumpster or sleeping in it when the incident happened. Douglas King of Together Against Poverty Society says it's the latest in a string of similar incidents, including one in Vancouver three years ago where a woman who became trapped in a clothing donation bin later died. The society is now calling for an inquest into the death, and to look at the broader issue of why situations like this one occur. "The reality is the real danger here is poverty," said King. "It could be the dumpster, it could be the clothing bin, it could be being exposed to the elements. Living homeless is an incredibly dangerous thing." The BC Coroner's Service is working with Victoria police to investigate the incident, but investigators say it doesn't appear to be a criminal matter.